Tommy Bowe is one of the brightest stars in Irish rugby, having graduated from a raw, talented youngster into a genuine threat at international level in recent years. Bowe's early career saw him at fullback, only converting to the wing when playing for Ireland U21. Form at youth level led to a call up for Ulster at the end of the 2003-04 season, with Bowe capitalising on the opportunity by scoring a try against Connacht on debut. International recognition soon followed, with Bowe lining up for Ireland against the USA during the 2004 autumn internationals. Bowe crossed for a second-half try on debut, and won further caps on Ireland's 2005 tour to Japan and in the subsequent autumn internationals. Bowe's growing experience led to his inclusion in the squad for Ireland's opening 2006 Six Nations game against Italy, and he again capped a significant match with a try. Bowe was dropped from the squad following a poor Ireland performance against France in the next game, and failed to regain his place in the latter part of the season due to a series of niggling injuries. A return to fitness and form for Ulster saw Bowe back in Ireland colours for a Test against Argentina in the summer of 2007. Despite good form at club level, Bowe missed out on selection for Ireland's 2007 World Cup squad. Bowe returned to the fold for the 2008 Six Nations, but was excluded from match-day action until the visit of Scotland to Croke Park, a match in which he crossed for a brace of tries. Bowe has been an ever-present on the Ireland wing since then, and at the end of the 2007-08 season made the switch from Ulster to the Ospreys with hopes of further success at club and international level. Success followed in the 2009 Six Nations, where Bowe was an instrumental member of the Ireland side that won an historic Grand Slam. In the decider against Wales at the Millennium Stadium, Bowe scored Ireland's crucial winning try. His heroics earned him a place on the 2009 Lions tour of South Africa, where he scored the first try of the tour against the Royal XV before going on to start in all three Tests. His return to Ireland colours came in November against Australia at Croke Park, when he was again on the score-sheet in a 20-20 draw. He subsequently started Ireland's victory over South Africa two weeks later. At the end of 2009, he put pen to paper on a new deal with the Ospreys that will extend his stay at the Liberty Stadium to at least the 2012-13 season. Ireland endured mixed fortunes in the 2010 Six Nations, losing to France and Scotland, but Bowe scored twice against England to set up a Twickenham victory and was later voted as Player of the tournament. He scooped two other accolades later in the year when he voted Players' Player of the Year by both the Irish and Welsh Rugby Union Players' Associations. 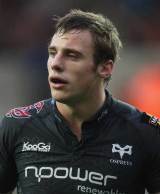 Bowe remained a key part of the Ireland and Ospreys side throughout the 2010-11 season. He played in three of Ireland's November Tests and took his place in the national side for the Six Nations scoring a try against England in their impressive final result of the tournament. He went into the warm-up Tests prior to the World Cup injured, much managed to return to the side in time for their final match against England. Bowe featured prominently in the World Cup for Ireland scoring two tries against the USA but their campaign ended in heart-break with Wales knocking them out at the quarter-finals stage. Going into the 2011-12 season, Bowe kept his place in the Ireland squad for their Six Nations opener against Wales. The Ospreys winger crossed the line and scored twice in their next match against Italy to overtake Shane Horgan in the try-scoring records for Ireland and cement the third spot behind Brian O'Driscoll and Dennis Hickey. Bowe scored two tries for Ireland in their pool match against the USA in the 2011 Rugby World Cup, but it was an otherwise quiet tournament for the right winger. However he returned to top form in the following Six Nations, scoring five tries in the tournament including two against France and two against Italy. Bowe missed the 2013 Six Nations through injury but returned in time to impress for Ulster and secure selection for the British & Irish Lions squad to tour Australia. Bowe fractured a bone in his arm in the early stages of the tour but recovered ahead of schedule to play an important role in the final two tests as the Lions beat the Wallabies 2-1.